Andrea's World Reviews: Ford Warriors in Pink Review & GIVEWAY!! On June 23rd, I will be celebrating my Silver birthday. A quarter century, 25 big ones. This is a momentous occasion! Well, not so much, but it still calls for a celebration. In honor is this, I want to do something special. I have already started thinking about all the things that would make great gifts. One of the things that came to my mind right off the bat is accessories! Every woman needs great accessories. That is what make an ordinary outfit, extraordinary. When you do not have the means to buy 500 outfits, having the ability to use a few key pieces to change the look of one outfit and create new styles and dress up or dress down an ensemble, is very important. Since this was to be a birthday accessory, I wanted it to be even more fabulous than normal, so I had my work cut out for me. I wanted something special. I wanted something unique, fun, flirty, versatile and all around FABULOUS! That is a tall order to fill, and I did not think I would find anything. It was such a pleasant surprise when I came across the PERFECT thing. 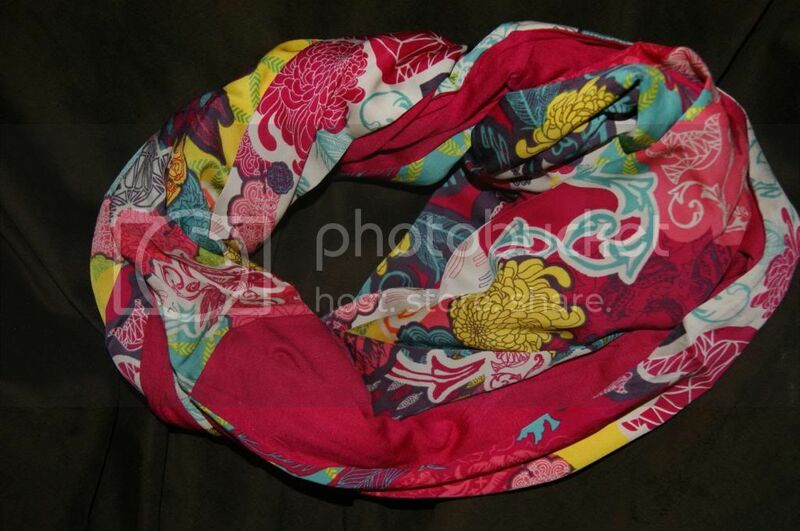 The Circle Of Hope Infinity Scarf from Ford Warriors In Pink is GORGEOUS!! 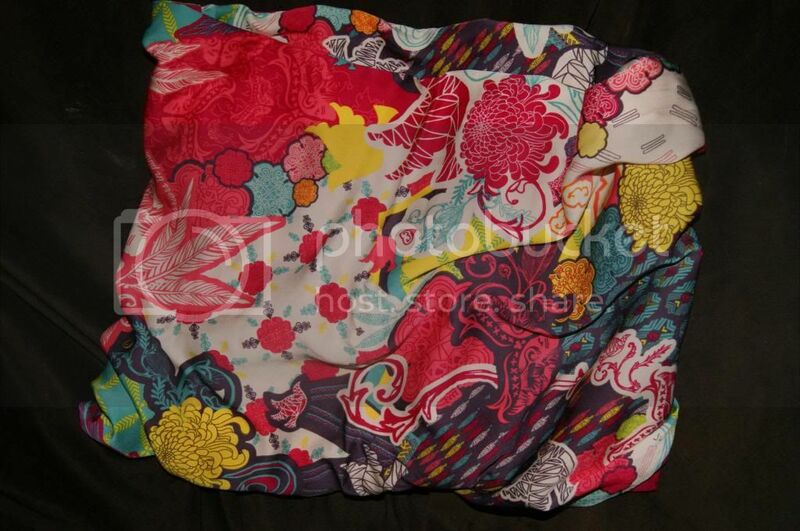 This beautiful infinity scarf features one side that is solid in an amazing shade of pink, while the other side is covered in a stunning pattern made up of brightly colored Warrior Symbols. Either side is lovely on its own, but together they create a breathtaking peice that will become the star of any outfit. There are so many ways to wear this scarf, and it can be paired with almost any outfit and will dictate the feeling of the outfit. Fro casual to dress, day or evening looks, however you wear it, it will be the game changer and make even a ho hum outfit look spectacular. 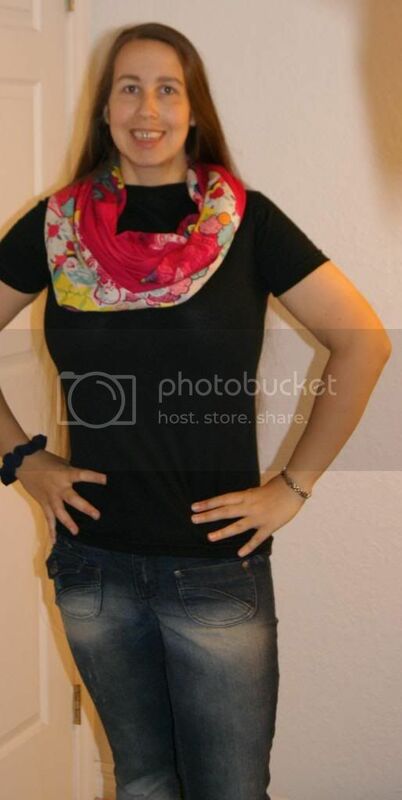 Since I do not dress up very often(I mean VERY rarely), so I love how this scarf has the ability to make a casual outfit look more stylish and put together. I tend to wear almost exclusively dark and neutral colors, even in the spring and summer when lighter colors are more fitting. Now I can add a pop of color to anything in my drab wardrobe. The scarf is so soft. It feels like silk, seriously, I cannot explain how luxurious this fee. What I love the most about this scarf though is the cause behind it. Not only do the symbols(and the color) serve to show support for Breast Cancer awareness, but the net proceeds from every purchase go to fun Breast Cancer research and charities. It is so inspiring that these items are actually used to fund Brest Cancer efforts instead of to profit off of offering Breast Cancer merchandise like is done all too often with many kinds of awareness merchandise. Although it does not run in my family(thank the Lord), I have been affected by Breast Cancer personally. My best friend's grandmother(who raised her as a mother), lost her life from Brest Cancer when my friend(and I) was a teenager. It was a horrible ordeal. She was one of the strongest women I have ever know even before the cancer, but they way she battled it was so incredible. I wish that they could have been something done to help her win the fight, and that is why research is so important. What could be better than helping to raise awareness and hopefully fund the efforts that will result in countless lives being saved while also looking fabulous. Every time someone comments on your gorgeous scarf(which is bound to happen often), you will have the opportunity to mention the wonderful cause associate with it. If you are looking for a fashion statement that really makes a statement, than the Circle Of Hope Infinity Scarf is perfect. And Ford Cares has so many other items that you can wear to show your support, all of which give all of the net proceeds to Brest Cancer organizations. If you want to show your support, then enter this giveaway for your chance to be the lucky winner of ANY Warrior Wear apparel item you choose. Enter below. Good luck. 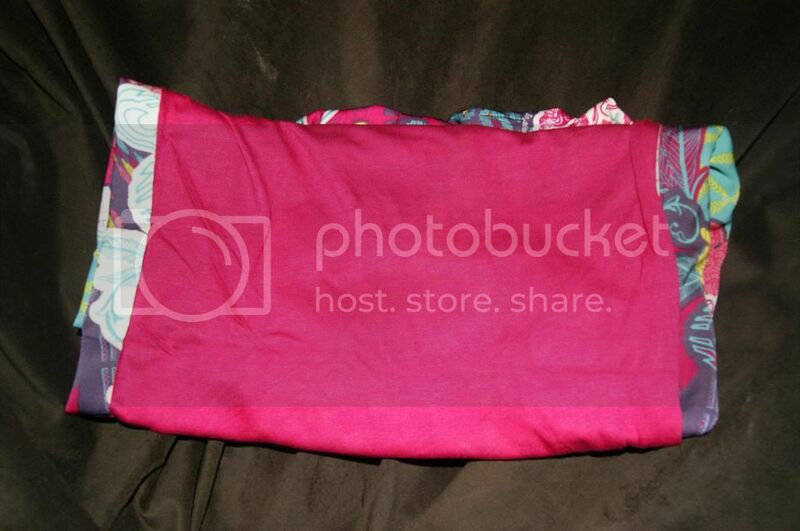 Love the Beautiful Dreamer PJ Pants! I'd like the Warrior Shield Hoodie. Thanks. I love the True Warrior Jacket!